Kurt Charles "K. C." Keeler (born July 26, 1959) is an American football coach and former player. He is currently the head football coach at Sam Houston State University. He was the head football coach at the University of Delaware from 2002 to 2012. Keeler served as the head football coach at Rowan University from 1993 to 2001. His 2003 Delaware Fightin' Blue Hens squad won the NCAA Division I-AA Football Championship, and returned to the Division I Championship game in 2007 and 2010. 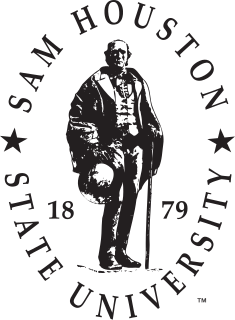 Sam Houston State University was founded in 1879 and is the third-oldest public institution of higher learning in Texas. It is approximately 70 miles north of downtown Houston, in Huntsville, Texas. It is one of the oldest purpose-built institutions for the instruction of teachers west of the Mississippi River and the first such institution in Texas. It is named for Sam Houston, who made his home in the city and is buried there. Keeler played high school football at Emmaus High School in Emmaus, Pennsylvania. He went on to play collegiate football at the University of Delaware, where he was a linebacker from 1978 to 1980 under coach Tubby Raymond. He was a member of the 1979 Division II National Championship squad. 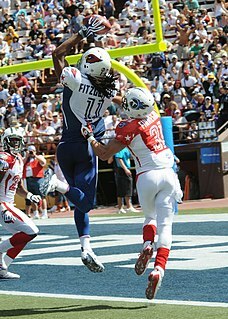 Once had 3 consecutive interceptions on 3 consecutive plays at University of Delaware. 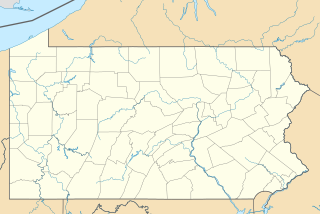 Emmaus High School is a public high school located in Emmaus, Pennsylvania, in the United States. The school serves grades nine through 12 in Pennsylvania's East Penn School District in the Lehigh Valley region of the state. Emmaus High School is located immediately off Cedar Crest Boulevard, at 500 Macungie Avenue in Emmaus, a borough southwest of Allentown, Pennsylvania. Emmaus is a borough in Lehigh County, Pennsylvania, in the United States. It is located 5 miles (8.0 km) southwest of Allentown, Pennsylvania, in the Lehigh Valley region of the state. It is 50 miles (80 km) north of Philadelphia, Pennsylvania's largest city, and 20 miles (32 km) west of the Delaware River. Emmaus is located in the Allentown-Bethlehem-Easton, PA-NJ Metropolitan Statistical Area, which is in the New York City-Newark, New Jersey, NY-NJ-CT-PA Combined Statistical Area. In 1980, Keeler signed a free agent contract with the Philadelphia Eagles of the National Football League. He was one of the last players released during the 1980 pre-season. He later earned tryouts again with the Eagles (1982–83) and with the United States Football League's Philadelphia Stars (1983) and Jacksonville Bulls (1984). Keeler began his coaching career as an assistant at Amherst College in Amherst, Massachusetts in 1981 and then at Rowan University in Glassboro, New Jersey in 1986. He became Rowan head coach in the 1993 season, ending his tenure in 2001 with an 88–21–1 (.804) record and seven NCAA Division III playoff appearances. He was, however, 0–5 in NCAA Division III Football Championship Stagg Bowls at Rowan, losing by an average of 42.4 to 18.4. Amherst College is a private liberal arts college in Amherst, Massachusetts. Founded in 1821 as an attempt to relocate Williams College by its then-president Zephaniah Swift Moore, Amherst is the third oldest institution of higher education in Massachusetts. The institution was named after the town, which in turn had been named after Jeffery, Lord Amherst. Originally established as a men's college, Amherst became coeducational in 1975. Amherst is a town in Hampshire County, Massachusetts, United States, in the Connecticut River valley. As of the 2010 census, the population was 37,819, making it the highest populated municipality in Hampshire County. 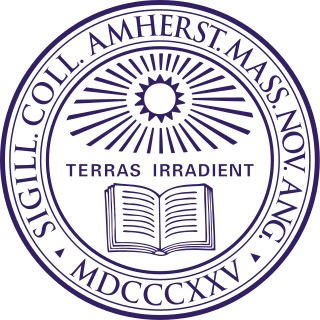 The town is home to Amherst College, Hampshire College, and the University of Massachusetts Amherst, three of the Five Colleges. The name of the town is pronounced without the h ("AM-erst"), giving rise to the local saying, "only the 'h' is silent", in reference both to the pronunciation and to the town's politically active populace. After Raymond retired in 2002, Keeler was named the fourth Delaware head football coach in 62 years. He immediately brought a new offensive philosophy to the team, replacing its famed and historic Winged-T formation with a no-huddle, spread offense. Under Keeler, Delaware won its first national championship since 1979 and its first-ever Division I-AA title (in 2003) with a 15–1 record and a 149–23 total score in the four-game playoff series. In American football, a T formation is a formation used by the offensive team in which three running backs line up in a row about five yards behind the quarterback, forming the shape of a "T". Keeler became as much of a celebrity in Delaware as Raymond. He was named "Delawarean of the Year" in 2004 by Delaware Today magazine and was listed as one of the top college football recruiters in the nation by American Football Monthly magazine. The (Wilmington) News Journal reported that Keeler was forced to hire an agent after the 2003 championship to help manage speaking engagements, guest appearances and private functions. His trademark sunglasses (which he also wore during night games) and wireless headgear were emulated with K.C. Keeler bobbleheads sold at games and local Newark, Delaware businesses. A bobblehead, also known as a nodder, wobbler or bobble head, is a type of collectible doll. Its head is often oversized compared to its body. Instead of a solid connection, its head is connected to the body by a spring or hook in such a way that a light tap will cause the head to bobble, hence the name. #Rankings from final Sports Network Poll. Harold R. "Tubby" Raymond was an American football and baseball player and coach. He served as the head football coach at the University of Delaware from 1966 to 2001, compiling a record of 300–119–3. Raymond was also the head baseball coach at the University of Maine from 1952 to 1953 and at Delaware from 1956 to 1964, tallying a career college baseball mark of 164–72–3. He was inducted into the College Football Hall of Fame as a coach in 2003. The Delaware Fightin' Blue Hens football team represents the University of Delaware in National Collegiate Athletic Association (NCAA) Division I Football Championship Subdivision (FCS) college football. The team is currently led by head coach Danny Rocco and plays on Tubby Raymond Field at 22,000-seat Delaware Stadium located in Newark, Delaware. The Fightin' Blue Hens have won six national titles in their 117-year history – 1946, 1963, 1971, 1972, 1979, and 2003. They returned to the FCS National Championship game in 2007 and 2010. The Sam Houston State Bearkats represent Sam Houston State University in intercollegiate athletics. Sam Houston State's colors are orange and white and their sports teams' nickname is the Bearkats. Sam Houston State sports teams participate in NCAA Division I in the Southland Conference. SHSU's primary rival is Stephen F. Austin State University and tensions between the two schools can run high before major sporting events that pit one against the other. The Delaware State Hornets football team compete in Division I FCS, and are full-members of the Mid-Eastern Athletic Conference. They are a five-time conference champion and made their first-ever FCS playoff appearance in 2007. They play at the 7,193-seat Alumni Stadium located in Dover, Delaware. The facility opened in 1957 as a multi-purpose for football, and track and field. The 2008 Delaware Fightin' Blue Hens football team represented the University of Delaware in the 2008 NCAA Division I FCS football season as a member of the Colonial Athletic Association (CAA). K. C. Keeler served as head coach for the seventh season. Keeler twice brought the Blue Hens to the FCS championship game, and won in 2003. In 2007, the team lost in the final to Appalachian State. 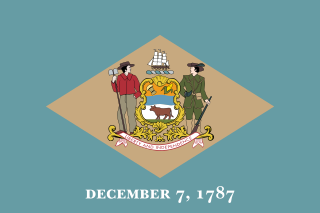 The 2008 season proved to be one of Delaware's worst seasons in its 117-year history. It was the only year that the Blue Hens have lost eight games. The Delaware Fightin' Blue Hens are the athletic teams of the University of Delaware of Newark, Delaware, in the United States. The Blue Hens compete in the Football Championship Subdivision (FCS) of Division I of the National Collegiate Athletic Association (NCAA) as members of the Colonial Athletic Association. The 2010 Delaware Fightin' Blue Hens football team represented the University of Delaware in the 2010 NCAA Division I FCS football season. They played their home games at Delaware Stadium in Newark, Delaware. They were co–champions of the Colonial Athletic Association and advanced to the National Championship game before falling to Eastern Washington by blowing a 19 point lead with 16:30 left in the game. They finished with a record of 12–3, 6–2 in CAA play. Delaware received one vote in the AP Poll following their wins against Towson and UMass. The 2011 Delaware Fightin' Blue Hens football team represented the University of Delaware in the 2011 NCAA Division I FCS football season. The Blue Hens were led by 10th-year head coach K. C. Keeler and played their home games at Delaware Stadium. They were a member of the Colonial Athletic Association. They finished the season 7–4, 5–3 in CAA to finish in a tie for fifth place and were not invited to the FCS playoffs. The 2012 Delaware Fightin' Blue Hens football team represented the University of Delaware in the 2012 NCAA Division I FCS football season. They were led by 11th-year head coach K. C. Keeler and played their home games at Delaware Stadium in Newark, Delaware. They were a member of the Colonial Athletic Association (CAA). They finished the season 5–6, 2–6 in CAA play to finish in eighth place. Following the season, the school fired Keeler. The 2006 Delaware Fightin' Blue Hens football team represented the University of Delaware in the 2006 NCAA Division I FCS football season as a member of the Atlantic 10 Conference (A-10). It was program's final season of play in the A-10. They were led by K. C. Keeler, who was in his fifth season as head coach of the Fightin' Blue Hens. The team played its home games at Delaware Stadium in Newark, Delaware. The 2005 Delaware Fightin' Blue Hens football team represented the University of Delaware in the 2005 NCAA Division I-AA football season as a member of the Atlantic 10 Conference (A–10). They were led by K. C. Keeler, who was in his fourth season as head coach of the Fightin' Blue Hens. The team played its home games at Delaware Stadium in Newark, Delaware. The 2004 Delaware Fightin' Blue Hens football team represented the University of Delaware in the 2004 NCAA Division I-AA football season as a member of the Atlantic 10 Conference. They were led by K. C. Keeler, who was in his third season as head coach of the Fightin' Blue Hens. The team played its home games at Delaware Stadium in Newark, Delaware. The 2002 Delaware Fightin' Blue Hens football team represented the University of Delaware in the 2002 NCAA Division I-AA football season as a member of the Atlantic 10 Conference (A–10). They were led by K. C. Keeler, who was in his first season as head coach of the Fightin' Blue Hens after taking over following Tubby Raymond'fs retirement. The team played its home games at Delaware Stadium in Newark, Delaware. The 2001 Delaware Fightin' Blue Hens football team represented the University of Delaware in NCAA Division I-AA college football in its fifth season as a member of the Atlantic 10 Conference (A–10). They were led by Tubby Raymond, who was in his 36th season as head coach of the Fightin' Blue Hens. The team played its home games at Delaware Stadium in Newark, Delaware. Coach Raymond would go on to retire following the season, ending his career with 300 wins, and would be replaced by K.C. Keeler. The September 15th game scheduled against West Chester was cancelled after the September 11 attacks. The 2000 Delaware Fightin' Blue Hens football team represented the University of Delaware in NCAA Division I-AA college football in its fourth season as a member of the Atlantic 10 Conference (A–10). They were led by Tubby Raymond, who was in his 35th season as head coach of the Fightin' Blue Hens. The team played its home games at Delaware Stadium in Newark, Delaware. The 1988 Delaware Fightin' Blue Hens football team represented the University of Delaware in NCAA Division I-AA college football in its third season as a member of the Yankee Conference. They were led by Tubby Raymond, who was in his 23rd season as head coach of the Fightin' Blue Hens. The team played its home games at Delaware Stadium in Newark, Delaware. The 1987 Delaware Fightin' Blue Hens football team represented the University of Delaware in NCAA Division I-AA college football in its second season as a member of the Yankee Conference. They were led by Tubby Raymond, who was in his 22nd season as head coach of the Fightin' Blue Hens. The team played its home games at Delaware Stadium in Newark, Delaware. The 1986 Delaware Fightin' Blue Hens football team represented the University of Delaware in National Collegiate Athletic Association (NCAA) Division I Division I-AA college football in its first season as a member of the Yankee Conference, after having been an Independent for the previous 16 seasons. They were led by Tubby Raymond, who was in his 21st season as head coach of the Fightin' Blue Hens. Quarterback Rich Gannon was a senior, and followed this season with an 18-year NFL career. The team played its home games at Delaware Stadium in Newark, Delaware. ↑ "Settling it on the field". Sports Illustrated . December 19, 2003. Retrieved July 8, 2012. ↑ "Head Coach K. C. Keeler". Udel.edu. June 15, 2010. Archived from the original on May 9, 2008. Retrieved August 20, 2011. ↑ Purdum, David (September 2004). "His Own Man". American Football Monthly. Retrieved August 20, 2011. ↑ Tresolini, Kevin (January 7, 2013). "UD fires football coach K.C. Keeler". The News Journal. Retrieved January 7, 2013. ↑ Roepken, Corey (January 23, 2014). "Sam Houston State hires K.C. Keeler as head football coach". Houston Chronicle.